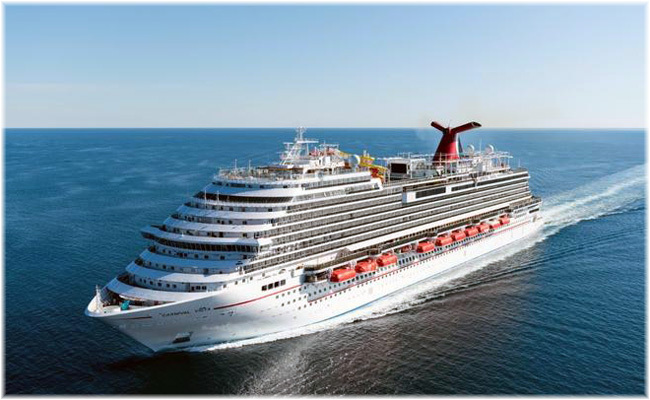 Carnival Panorama, the new ship of Carnival Cruise Line was launched today at the Fincantieri shipyard in Marghera (Venice). Interior fittings will now begin, leading the ship to its delivery, scheduled in autumn 2019. The units of the “Vista” class are a new technological benchmark, in Europe and worldwide, in terms of cutting-edge layout, extremely high performance and high quality technical solutions. The interior fittings are of an extremely high level quality comfort, offering a wide range of onboard entertainments, restaurants, theatres, shops and wellness centers. On this ship as on the previous ones of the “Vista” class, there will be the Havana Area, a themed private and exclusive area, with cabins, open bars and an Infinity Pool. The access to this area is limited, during the day, only to those passengers whose cabins are in the Havana Area.